Development on Battleborn is done! Yesterday it was announced that the game is getting ready to be printed to discs and shipped to retail stores around the world in time for its release on May 3. While the development of post-launch content has not yet begun, finishing the game has allowed Gearbox to begin thinking about the future (you can read their thoughts on that here), and today we’re ready to share 2K’s vision for supporting Battleborn post-launch. Gamers can expect five more heroes hitting after launch – completely FREE – for all platforms, bringing the total roster to 30! And that’s just the beginning of many free updates we’re planning. Competitive multiplayer modes, maps, balance updates, and community features will also be free. When gamers throw down their hard earned cash they want that experience to last. This is why it’s very important to us that we deliver more than $60 worth of content at launch and continue to add more value in the form of free heroes, maps, modes, and other features post-launch. The first of the five new free heroes to release will be Alani, a member of the Eldrid faction who was raised as a healer, but forced to be a warrior, and is all that remains of her order after Rendain’s Jennerit Imperium stole the oceans from her world. 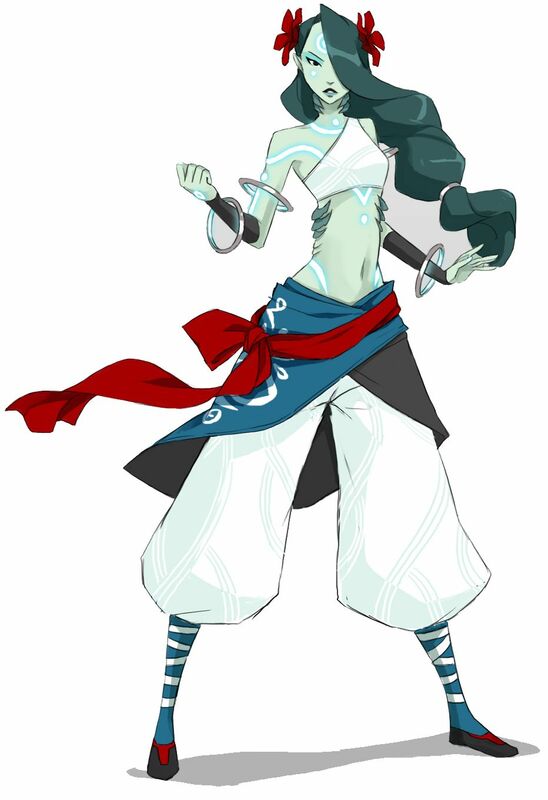 As a warrior from a planet with vast seas, Alani’s attacks and abilities revolve around her power to control water to dish out pain, or heal her fellow Battleborn. We’ll have more info on Alani, including her release date, as we get closer to launch. In the meantime, PlayStation 4 players who participate in the upcoming Open Beta will instantly-unlock Alani once she’s available after launch, saving players the time it takes to earn her through playing the game. PlayStation 4 players who participate in the upcoming Open Beta and also purchase the Season Pass will receive a hero unlock key allowing you to instantly unlock any hero in the game. Battleborn’s universe is vast, and we’re happy to say it’ll continue expanding via five new add-on packs. Those that are familiar with Borderlands post-launch content over the years should feel right at home with Battleborn’s add-on packs, each pack will cost $4.99 and include one new Story Operation, as well as exclusive hero skins and taunts. These PvE Operations will be highly replayable solo, or co-operatively online and splitscreen with your friends, and will let you experience new side-stories during the fight to save the last star in the universe. Concepts for the plot of these Story Operations are beginning to crystalize now that the game is complete and in certification, and we can’t wait to share more details about each Operation as we get closer to their release post-launch. In the meantime, Battleborn’s Season Pass costs $19.99 and will net you all five packs for the price of four. You can also pick up the Season Pass as part of Battleborn’s Digital Deluxe Edition, which includes the base game, the Season Pass, and some bonus cosmetic customizations for $74.99 – which saves you $10 in total if you’re already thinking of getting the game and all five add-on packs. We know that some gamers really love to express themselves through cosmetic customizations that make their heroes stand-out. That’s why Battleborn has a huge variety of skins and taunts that come with the game at launch, and we will continue to release even more cosmetic customizations post-launch – some of which we will sell in-game. This kind of optional cosmetic content has absolutely no effect on the gameplay, and helps us keep all the additional heroes, modes, maps, and other features that extend the core gameplay experience, free for everyone. We’re committed to making sure that you have the means to make your favorite heroes truly your own. 2K couldn’t be more excited to bring you the first game in an exciting new hero-shooter genre, and we are committed to supporting Battleborn and its player community after its release. This complimentary approach of free and paid post-launch content will allow us to do just that. We’ll see you in the upcoming Open Beta on PS4, PC and Xbox One, and can’t wait to join you in the fight to save the last star when the game ships on May 3!